Elta Livingston is a literal life long resident of Fondren and has called this neighborhood, “a little community on the hill,” home for the past 83 years. The two Fondren brothers, Ed and Dave, lived on State Street and were the pillars of the neighborhood. Fondren Grocery Store kept the neighborhood fed. The insane asylum was located at the current location of the University of Mississippi Medical Center. Street cars, owned by what is now Entergy, ran down State Street (and their tracks are still beneath the pavement). Dr. Rehfield, who lived on Mitchell Avenue, was the neighborhood doctor and would make house calls. Livingston was born at home on the corner of State Street and Duling Avenue. The building there now is known as The Fondren Building. In 1948, McMullin’s Commercial Bank bought her family’s home to serve as their first branch bank, the very first branch bank of its kind in the state. Then, the Primos family obtained the building. In 1996, St. Luke’s United Methodist Church bought the property. Livingston is the second longest continuous member of St. Luke’s UMC. “Because of my love and concern for the future of St. Luke’s, I was significantly involved in making it possible for the church to acquire the building,” she says. Growing up, Livingston attended Lorena Duling School with her sister and two brothers. She fondly recalls her teachers and the times she had with her fellow students. 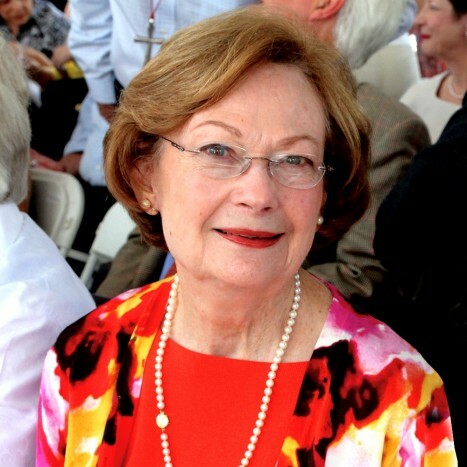 Livingston attended Belhaven College (now Belhaven University) and has lived in her current home for the past 55 years.“Fondren is my home. Roots are so important to me. I have my church friends (from St. Luke’s), my school friends from Duling and my Fondren friends. Fondren has opened my life to new people, new ideas, and new opportunities,” says Livingston. One of these new opportunities is the Fondren Renaissance Foundation, which Livingston is heavily involved with and recently finished a three-year term on the board. One of the biggest changes Livingston has seen during her years in Fondren is the increased number of young people in the neighborhood. Livingston also attributes Fondren’s eclectic personality to the young people. This year’s Symphony at Sunset at The Cedars posthumously honored Livingston with an award she knew was coming and that she was thrilled to receive. She passed away on Friday, September 13, 2013.